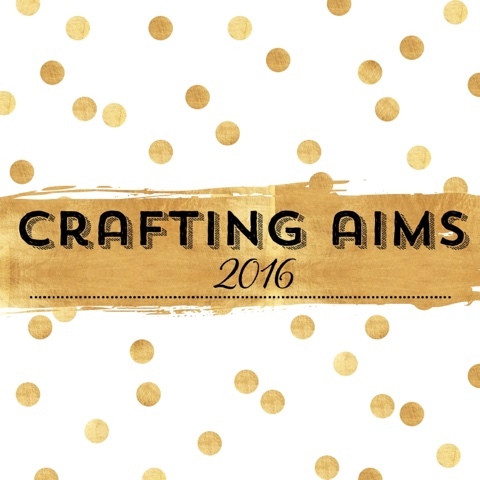 As we are now in the new year I've taken a look at what crafting aims would I like to achieve in 2016. I know that being able to make time to do something creative makes me happy, it gives me that sense of achievement in the midst of a busy day being mum, feeling of something for me. There are always so many things I want to do but I've tried to make this list fairly realistic in its aims. Knit a shawl // This was on my aims for last year and it did not happen. I have two possible patterns on my radar both by the talented Helen Stewart at Curious Handmade. Either Pebble Beach or radiance. Both so pretty and simple(ish) I hope. Finish my Once Upon a Time sampler and start the Pumpkin Passport one. I have lots of cross stitch and enjoy the slowness, the peace that comes with putting little crosses in the fabric. Make progress on my Sophie's Universe. See I'm not even going to say finish it. As I think knowing my track record this is unlikely! But I love it so much and when I pull it out it makes me so crazy happy. That's the point of crafting isn't it? Finish a hat for M, and make one for N. Plus some little hand warmers for the boys. Use some of my knitting books. I have a few which I love. I need to be brave to use them. Have some faith that I can do it. Finish 2015 project life album. It's almost done. Continue with my projectlife approach which has worked for me this past year. I'm accepting now that my approach is not fancy, or beautiful or that clever but it works for me and makes me happy. I have the album and page protectors ready. Sort through 2015 photos and work out stories for my 12x12 album for the year. The 2014 is pretty much done now and for right now I'm happy with where it is. Now time to look at the 2015 ones. Use my sewing machine. By the end of the year I have built up some confidence in usesing a machine. I want to build on that confidence. Sew myself an item of clothing. My aim is one. If I achieve more. Bonus! Make the boys birthday cakes this year. I think I can achieve this! I really enjoyed making N last year, and I was really proud of the little cupcakes I made for my nephews birthday in December too. I think i have covered all crafting bases there. Lots of little things. I have lots of stuff so I can try do little and often. And keep my craft life balance in line. And this list will more than likely get new things added as I read, watch, follow interact with the people in my phone on a daily basis! Linking up with a rather talented and inspiring friend of mine. Kate over at A Playful Day and her awesome idea with #themakersyear. Go follow her! !